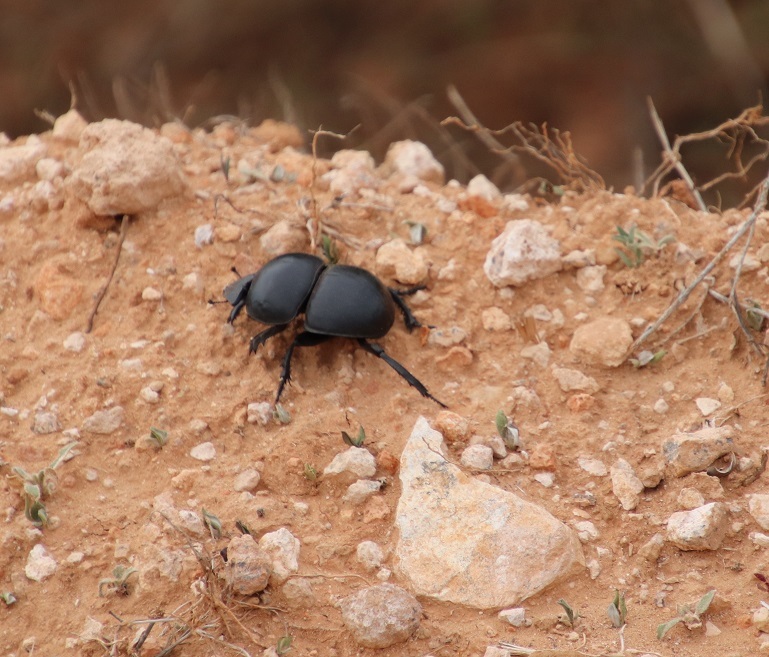 I have mentioned before that the Addo Flightless Dung Beetle (Circellium bacchus) are among the largest in the world and that they play an important role in the ecosystem, helping to decompose the piles of dung deposited both by wild animals and stock animals. 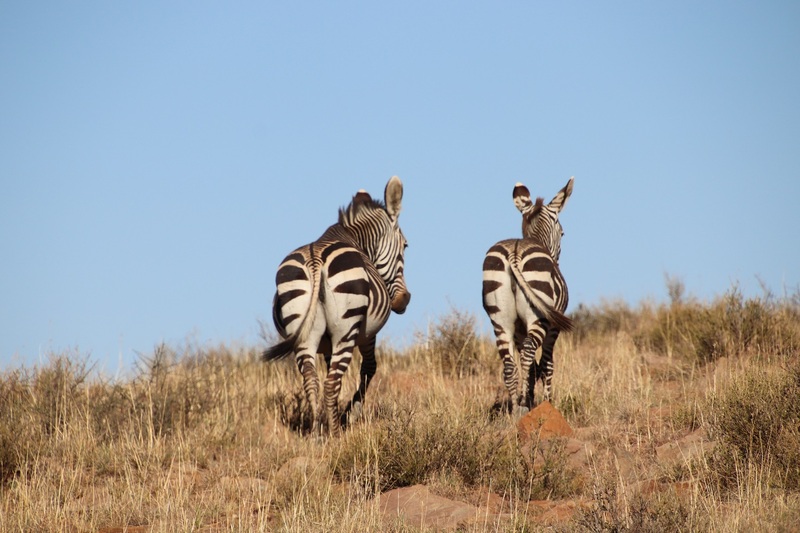 As there has been a little rain, this is a good time of the year to see them in the Addo Elephant National Park. 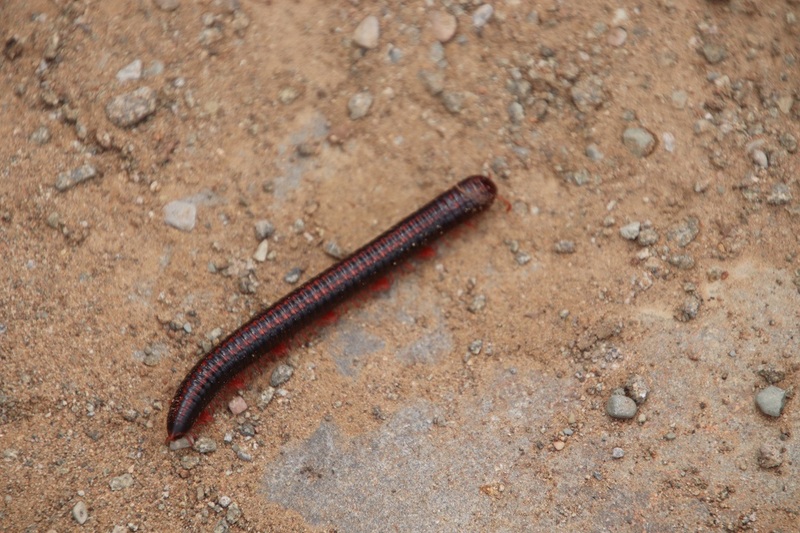 They criss-cross the roads in search of dung, causing some motorists to swerve to avoid them. One can also see them on the verges, as is the one in the photograph above. 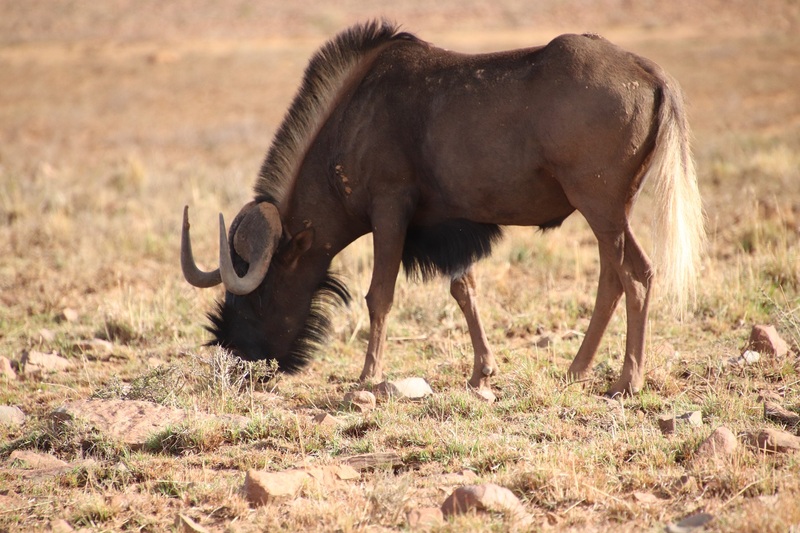 It is always interesting, however, to see them at work on freshly deposited elephant dung – this one really looks as if it is biting off more than it can chew, or that its eyes are bigger than its belly! Actually, these beetles can roll balls of dung fifty times heavier than they are. 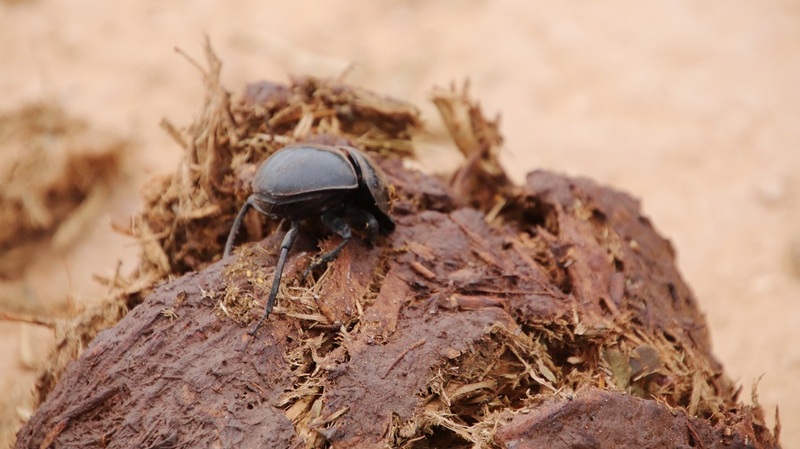 Dung beetles are reliant on dung both for their own nutrition and that of their larvae. 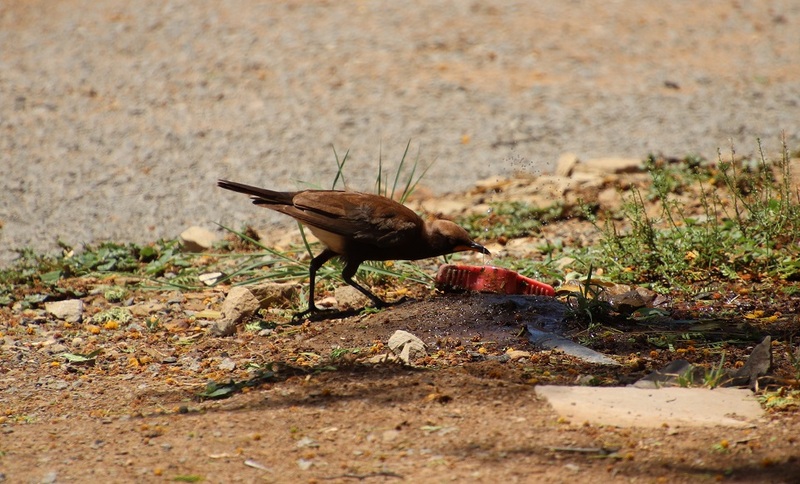 Quite understandably, they prefer fresh dung from which to form their brood balls. It has been interesting to read that studies have shown that these dung beetles use the Milky Way to navigate their way at night. 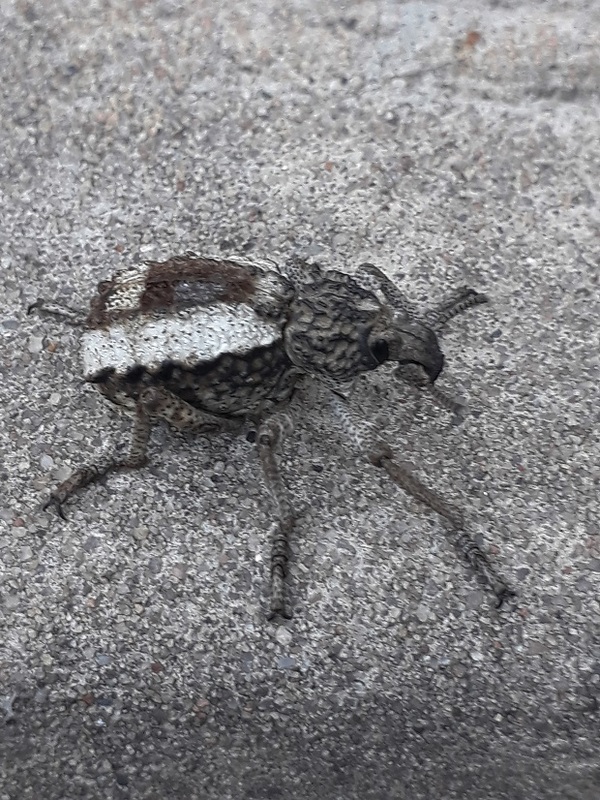 Not all visitors seem to be aware that these beetles are listed as vulnerable on the IUCN list and so do not heed the many signs warning them to give way to the dung beetles on the road. 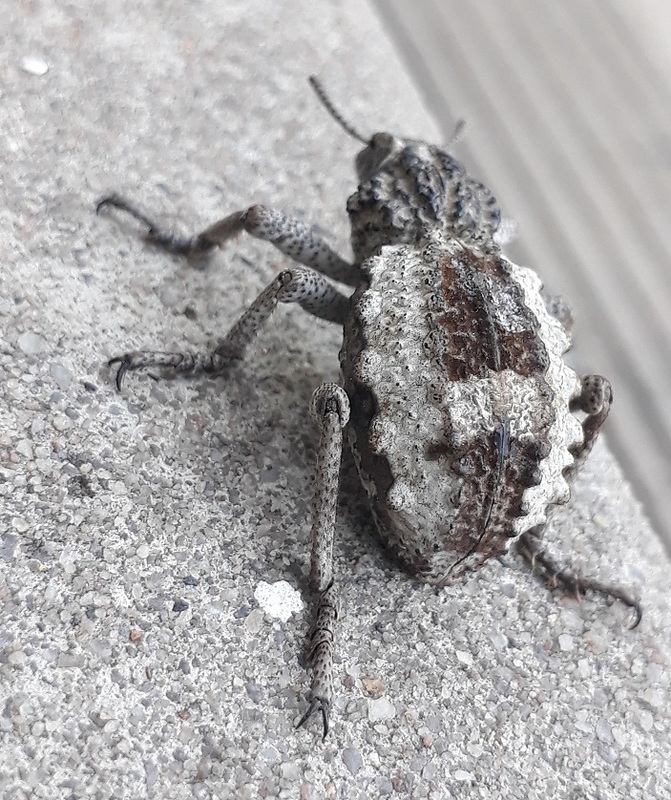 Factors such as agriculture and human interference have led to the vulnerability of these beetles – we need to watch out for them! 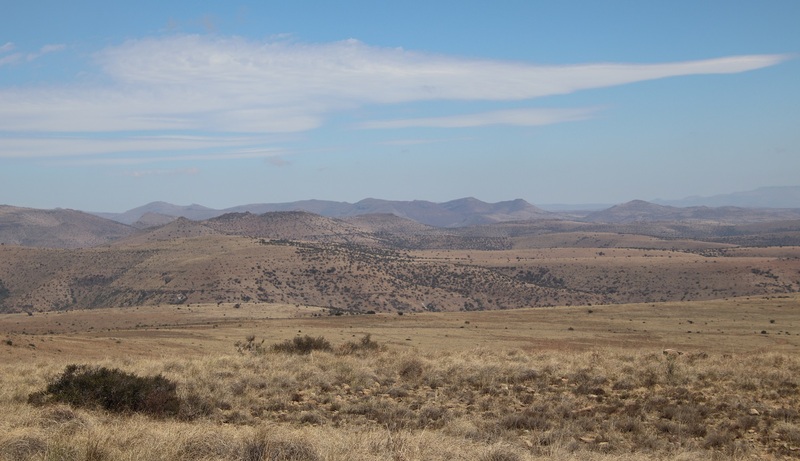 NOTE: Click on a photograph iif you wish to see a larger version. I can remember having to annotate sketches of grasshoppers while in primary school, firstly identifying the head, thorax, abdomen, wings and legs. Later on the latter had to be annotated further to include the femur, tibia and tarsus. I loved the sound of the name tarsus. 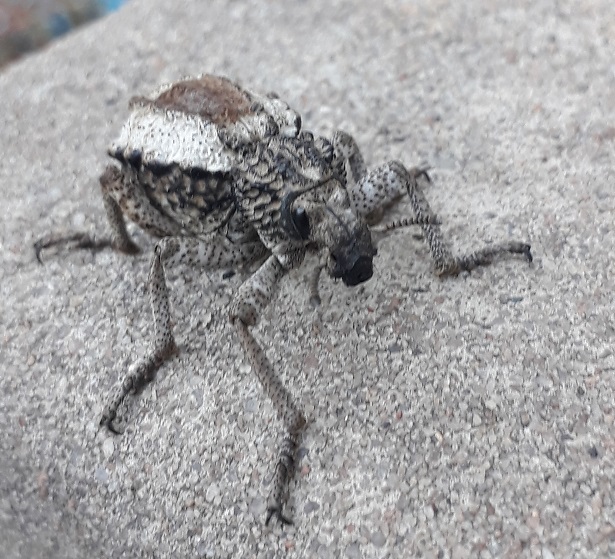 These milkweed grasshoppers, Leprous grasshoppers (Phymateus leprosus), were very common and we often used to catch them – then quickly let them go as they exuded an unpleasant foam, doubtless for protection. Seeing this one recently brought those primary school memories right back as if it were yesterday. 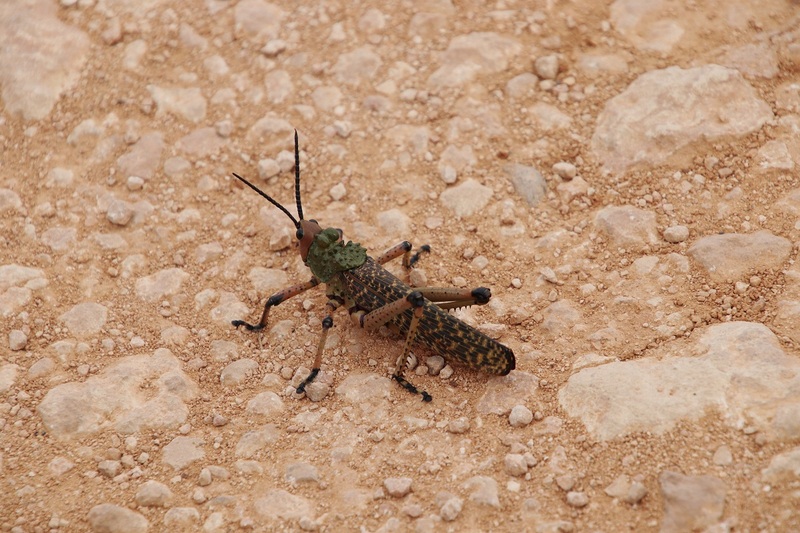 What always fascinated me about these grasshoppers is the green saddle-shaped pronotum with two large bumps for it looks like serious armoured plating. 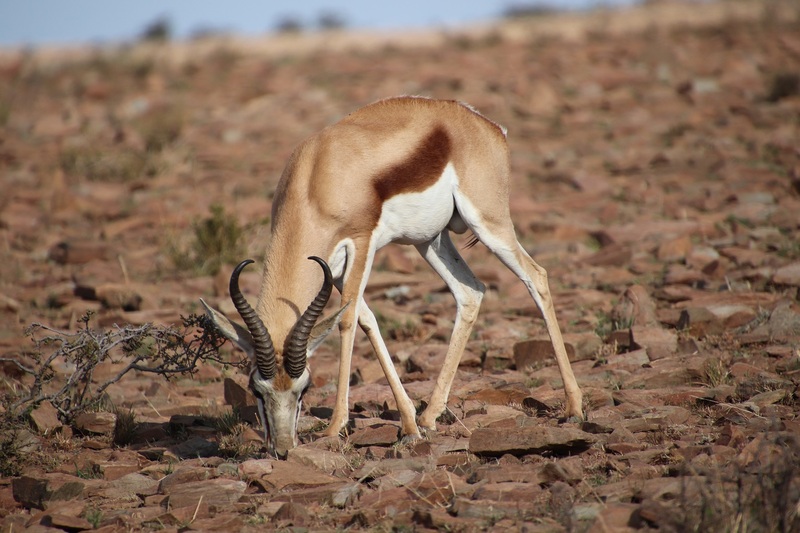 Equally ferocious looking are the double rows of spines on the tibia. Even the knees of this grasshopper look armour plated! Note: Click on the photograph if you wish a larger view. 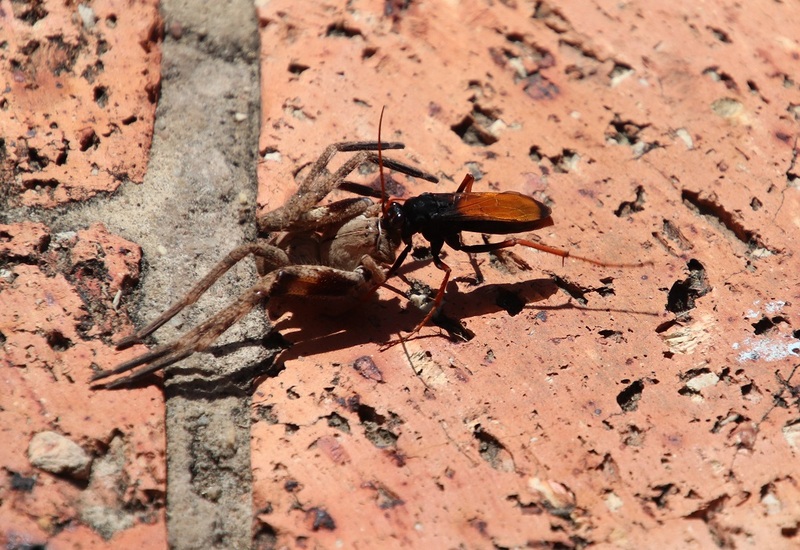 My mid-morning tea in the garden was interrupted by something odd running across the dry grass: a spider-hunting wasp (belonging to the family Pompilidae)! I rushed indoors to fetch my camera … where had the wasp got to? 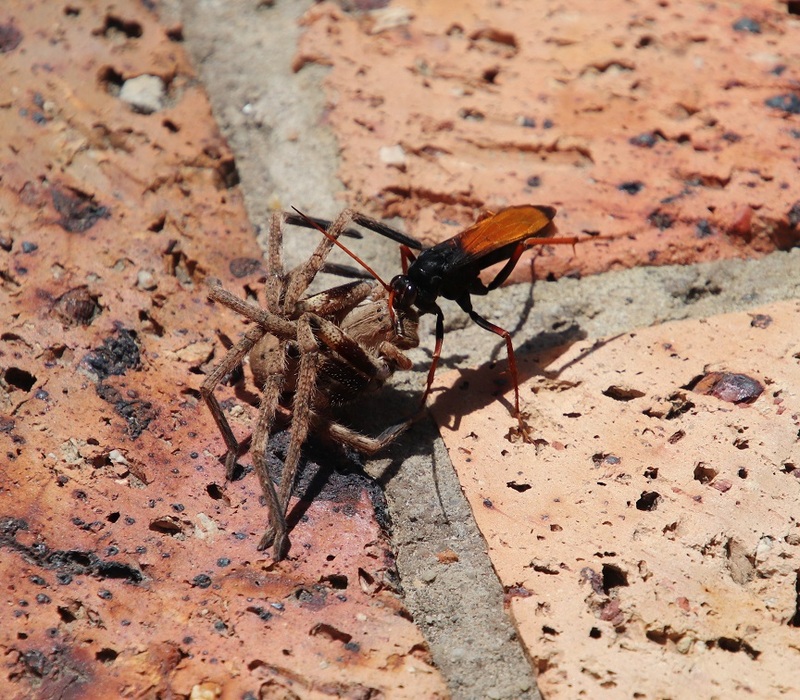 Then I saw it dragging the spider along the brick edge of the swimming pool. It was battling against the stiff breeze. 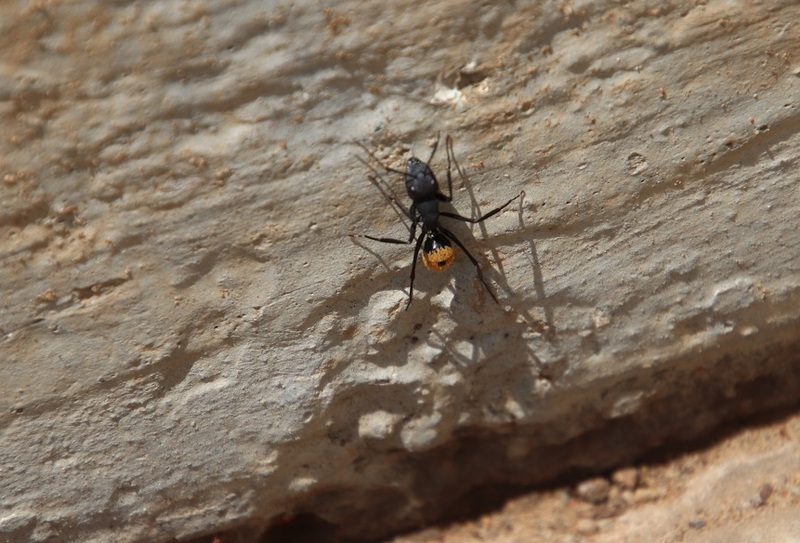 Although these solitary wasps paralyse their prey with their powerful venom after capturing it, the movement of the legs of the spider indicated that the process was not yet complete. 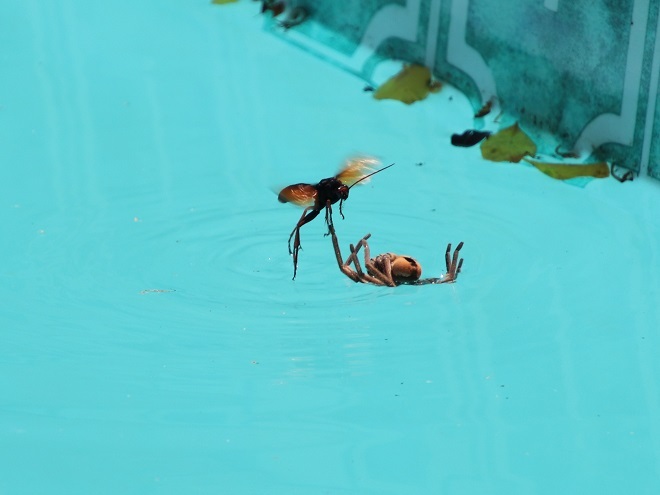 It was dragging its prey perilously close to the edge of the pool when a gust of wind blew the spider over the edge. The wasp held on tightly. While this is not a good picture at all, it shows the tenacity of the wasp, which continued to carry its prey along the wall like this for some distance. 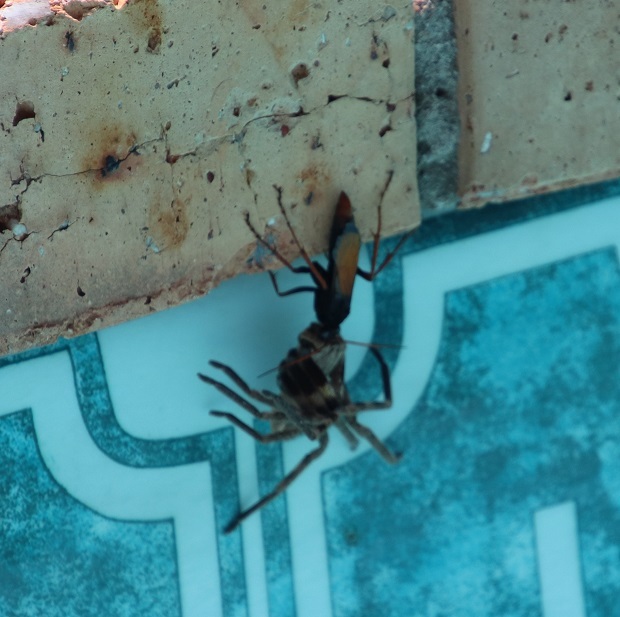 Inevitably, the wasp lost its grip and the spider fell into the pool. 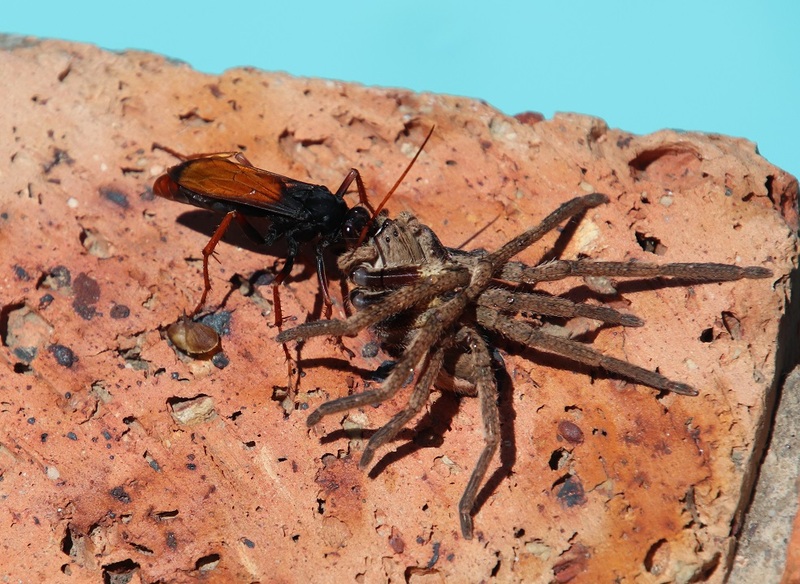 The spider seemed to expand and contract its legs experimentally whilst floating on its back while the wasp flew frantically back and forth, trying to hook onto the spider. Mea culpa, I lifted the spider out of the water with the pool net and stood back to watch what would happen next. 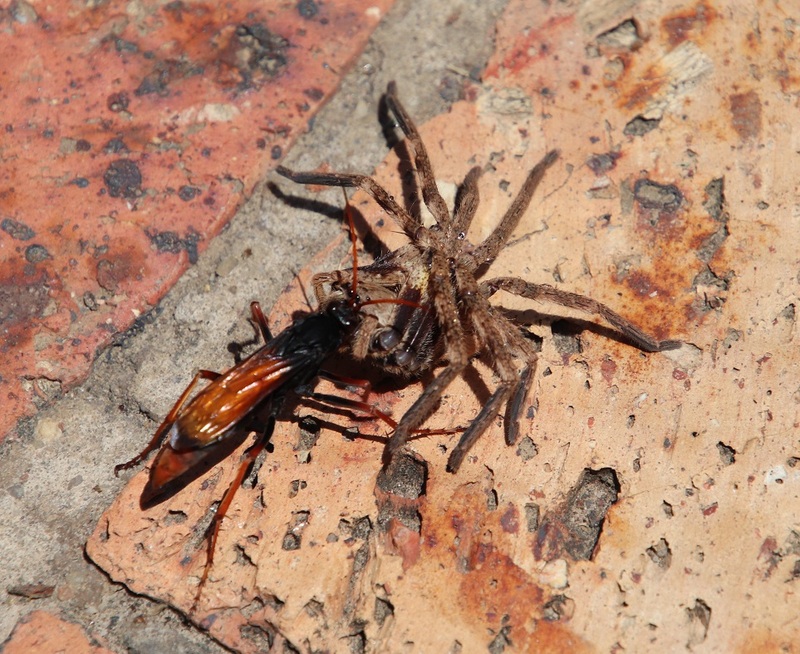 Within seconds the wasp had the spider in its grasp once more. As it resumed its journey at considerable speed, the stiff breeze brought them teetering close to the edge of the pool once more. 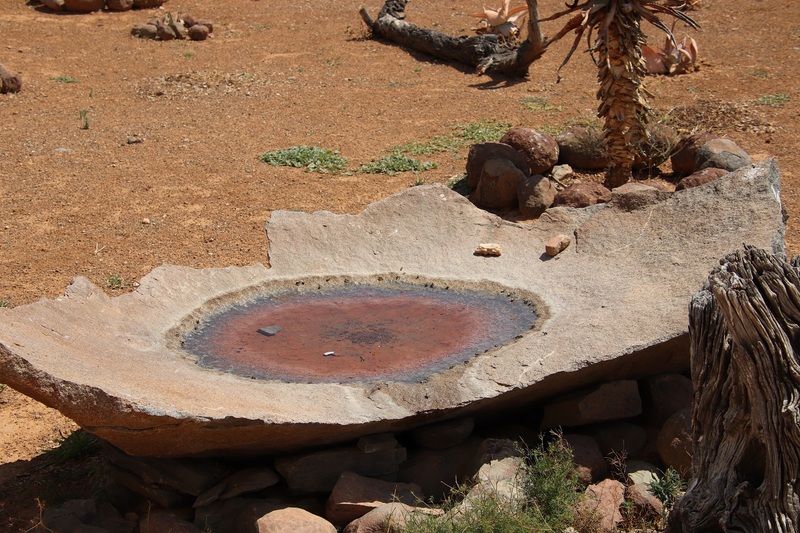 The wasp tugged and pulled against the breeze – the end of its journey was in sight: the site of its prepared burrow in a crack between the rocks at the end of the pool, where it dragged the spider down in a flash! 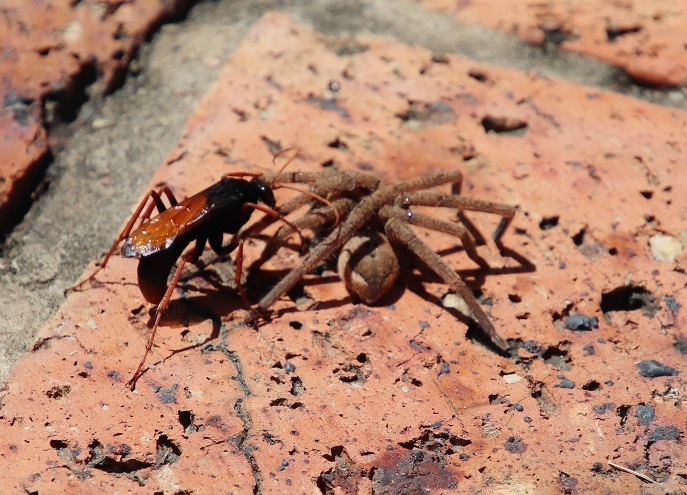 There the wasp will lay an egg in the abdomen of the spider before exiting the nest and concealing its entrance. NOTE: Please click on the photographs if you wish to see a larger image. 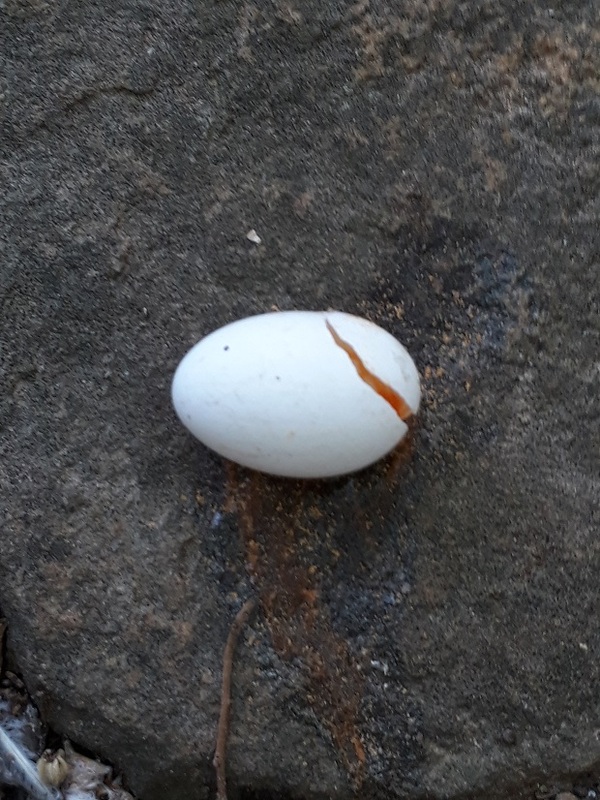 I recently came across this interesting ‘clutch’ of eggs. 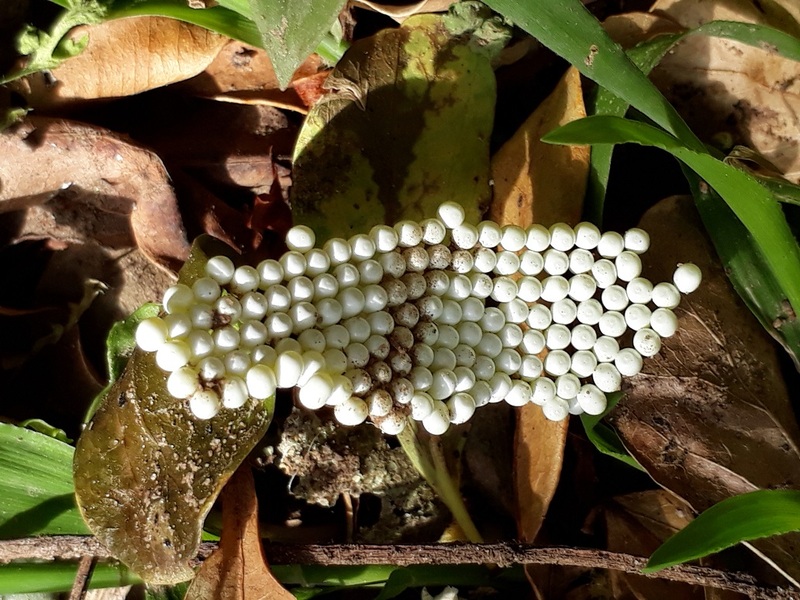 At first glance I thought they were remnants of bead-work. Both look as if they had fallen from the same nest. 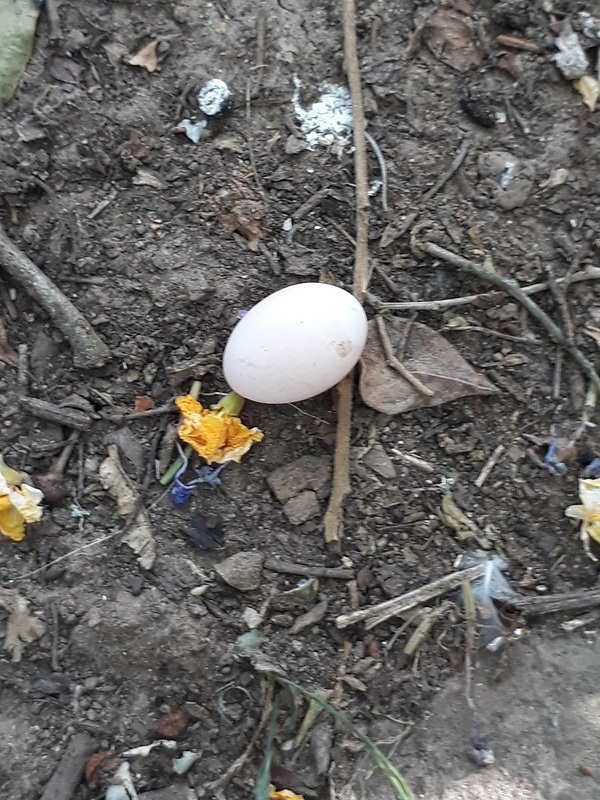 I craned my neck, and roped in others to do the same, but no sign of that nest can we find in the tangle of branches and shrubbery above this site.